Do you want all blogger tricks? Do you want more Blogger, Web Development Tricks? Enter Your Email Below And Get Latest Stuff Deliverd To Your Inbox. Having an attractive image in your website or blog post can grab the attention of the audience. This can make a great change to how your viewers respond to your WordPress website. 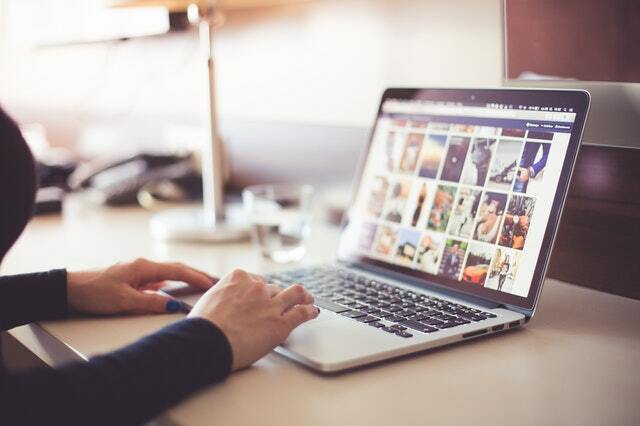 Well, it is certain that the content is king but displaying eye-catching photographs surely add value to increase the number of frequent visitors you receive, and eventually lead your website to attain its goals in a better way. It is a website dedicated to sharing stock photography which allows upload photos to its website. It is then curated by a team of professional and experienced photo editors. It has over 110,000 contributing photographers and generates more than billions of photo impressions per month and having their growing library of photos. Pixabay is an international website for sharing beautiful photos, illustrations all around the world. Founded in 2011 now emerged out having a personal image collection into an interactive online community, with this it supports 20 languages. It is having stunning free images having 1.6 million royalty free stock photos and videos. With this, you can download beautiful stock photos and images in high resolutions for personal and commercial use. Picjumbo has a lot of categories from technology to animals, fashion, foods etc. With RawPixel you can get creative, with safe to use royalty free stock images, vectors and public domain illustrations. It gives options to download for commercial use for free and premium. PikWizard is stock photo game, and some bloggers cite it as a well-kept secret and new player in this game. These websites have more than 30,000+ completely free images, many of which are exclusive. The images of PikWizard are licensed under Creative Commons zero consist of nature shots, photographs of people as well as of desktop wallpapers. By mouse over on images, you can see options to download, edit etc. It provides ample option of stock photography, stock footage, stock music, editing tools and also maintains a library of around 200 million royalty-free stock photos, vector graphics, and illustrations. Shutterstock has over 100,000+ contributors with an "active customer base of more than 1.5 million people in 150 countries. Pexels includes hundreds of thousands of photos, but it really takes the favourite spot on many bloggers. Because the images they have are just beautiful and decent. The photos they use are especially useful for the business and technical side of people. Stocksnap includes hundreds of latest images weekly and regular intervals and they have a great search tool to help you quickly find specific photos based on the keywords. From the name you might have guessed; it is Wikipedia’s online repository for all the photos they use. That means there is a photo for almost anything you might be looking for. Burst is a free stock photo platform that is managed by Shopify. The photographers of this website are frequently shooting and uploading high-resolution images to help others the world around to look for latest and trending images. It is the best resource present on the internet which is highly visually appealing especially for free food photos in high resolution. Kaboompics is one of its type and most widespread source of free images for lifestyle, interior designs and used by specialized bloggers. Every month, almost over 70,000 people from 209 countries visit Kaboompics. Their image appears on sites like BBC, CNN, Forbes, Cosmopolitan, Yahoo, iSpot, BuzzFeed, Hubspot and many more. FreeImages, FreePhotos, FreeStocks, Gratisography, IM Free, Jay Mantri, Life of Pix, Moose, ShotStash, ScatterJar and many more. At first glance, it may seem as though improving the SEO for videos that you publish on your blog is difficult. In some ways that are true, especially seeing as search engines can’t actually ‘watch’ videos and determine what they are about. Transcribing the audio in your video and then publishing it will give search engines written content that they can use to understand your video better. If you want you can manually transcribe the video or use automated transcription tools to help. In either case, it is best to publish the transcript near the video – ideally right below it. If you’re concerned that will disrupt the layout of your website, you could insert it in a collapsible HTML element. As you add videos to your blog you should track the page speed and optimize them as necessary. If you aren’t carefully videos can have a significant impact on the page speed, which will affect your rankings on search engines. Some of the factors that can affect the page speed include self-hosting videos or setting them to autoplay. In some cases, you may need to optimize other elements on your webpage to improve the page speed after you publish videos. Video schema markup will help provide search engines with lots of relevant information about your video. Some of the details that you can include are the title, description, duration, upload date, and view count. On top of that, you will be able to assign a custom thumbnail to your video using schema markup as well. That can help to improve the clickthrough rate of your video when it is listed on search engines, which will both improve your SEO and its overall impact. 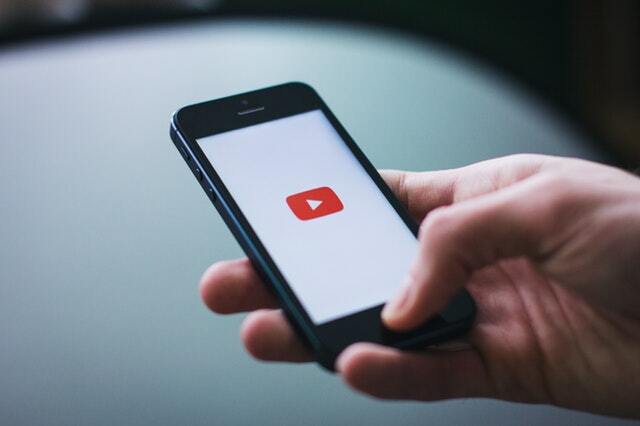 Search engines place a lot of importance on how mobile-friendly websites are, and your video SEO should factor that in. The web design and video player should be responsive, and you may want to create versions of the video in different resolutions to cater to some mobile devices. For example, you could use Movavi Video Converter as an HD video converter to ensure that your videos are in the resolutions (and formats) that you require. Each of the tips listed above can have a big impact on your video SEO and it is crucial that you take steps to improve them. If you do the videos that you publish on your blogs should get listed faster, rank better, and have enhanced listings too. It should be noted that there are lots of other steps that you should take if you want to truly scale the rankings of search engines. That being said these tips can help give you a solid foundation that you can start with. Do you know what’s common between Mashable, Laughing Squid, and BuzzMachine, apart from the fact that all are top-ranking blog sites? Each one of these uses WordPress. And so do 32.5% of all websites on the internet. So if you are looking for a content management system for your new site, you should perhaps look no further than WordPress. If one-third of the internet is using WordPress, it must be really good. But what makes WordPress so popular in the first place? Well, there are many reasons. For starters, you don’t have to pay a dime to use the WordPress software. Anyone can download it from WordPress.org and start using it straight away--no questions asked. The most amazing thing about WordPress is that you can install it, customize your site, and add new features without learning any coding or hiring an expensive developer. Installing WordPress is a cinch. Most hosts today offer one-click WordPress installation to users. And in case you plan to use WordPress.com, a commercial blog hosting service provider, you’ll get WordPress pre-installed. Similarly, adding new features to your WordPress site is ridiculously easy. At a press of a button, you can enable advanced features on your site by installing relevant plugins and improve your site’s performance and boost customer experience. For instance, a fast loading site is crucial for delivering a satisfying browsing or online shopping experience to customers. There are WordPress plugins available, some even completely free, that help you load your site faster. One such plugin is WP Super Cache, which is the 6th most popular WordPress plugin, having been downloaded 3.9 million times. Additionally, you can easily and quickly customize the look and layout of your WordPress site in any way you want. All you have to do is upload an appropriate WordPress theme. Just like plugins, some themes don’t cost a thing while some others ask you to pay a one-time subscription fee. With so many advantages on offer, there’s no wonder millions of people love using WordPress. To know more about this pioneering content management system, have a look at this facts-packed infographic.